Dubai: Over 74 per cent Type 2 diabetes patients are not aware they are at high risk for heart disease, a nationwide survey revealed on Tuesday. The survey covered residents from all emirates with a majority of patients from Dubai and included 25 per cent Emiratis, 40 per cent Arab nationals, 35 per cent Asian and one per cent Western expatriates. 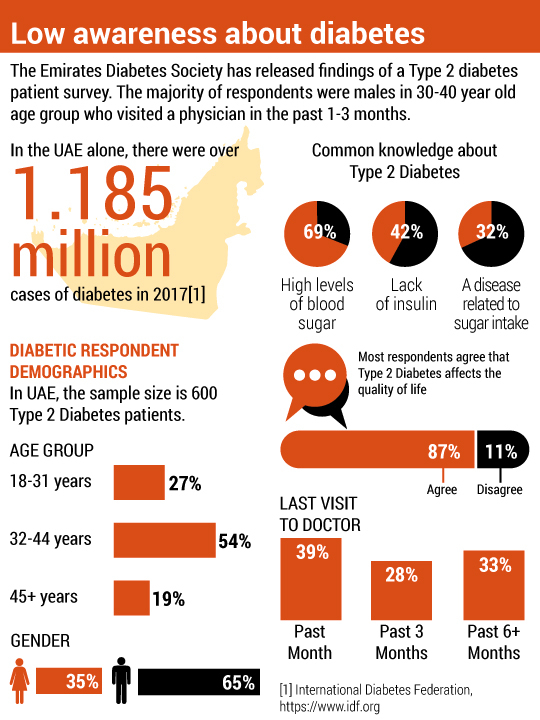 The survey, conducted by the market research organisation Ipsos for the Emirates Diabetes Society (EDS) in conjunction with pharmaceutical company Boheringer Ingleheim, interviewed 604 diabetics. He added that over 52 per cent of patients with Type 2 diabetes died of cardiovascular causes. Therefore, the epidemic of Type 2 diabetes was likely to be followed by an epidemic of diabetes-related CVDs. CVDs are also the number one cause of death globally, with more people dying annually from CVDs than any other cause. The survey revealed a clear knowledge-gap in the average patient. The majority of respondents to the survey were males in 30-40 year old age bracket and had visited a physician in the past 1-3 months. 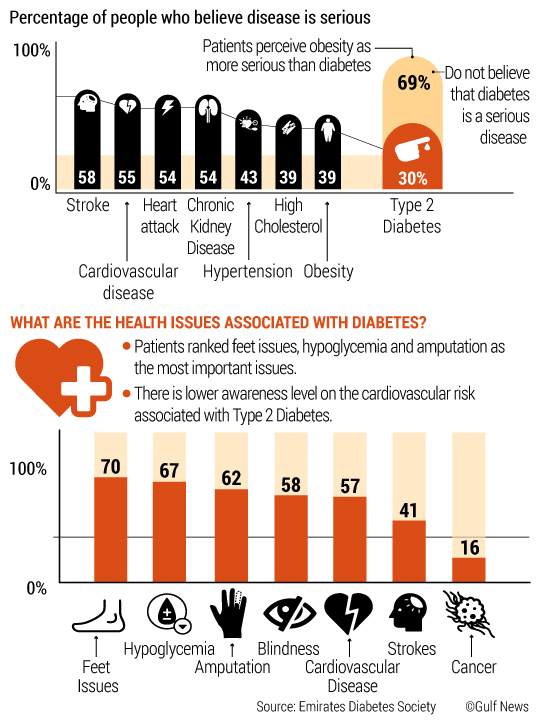 The survey unearthed considerably low awareness of Type 2 diabetes and knowledge of the risk factors and after effects. The study also identified incorrect perceptions surrounding the disease, associated conditions and their management. While Type 2 diabetes is known to cause a variety of health complications such as numbing of the peripheral and optic nerves and kidney disease, few know that diabetes damages the coronary artery, causes higher incidence of accumulation of bad cholesterol which gets deposited in the arteries narrowing them and making diabetics more at risk for CVD. The ‘close to your heart’ campaign will spread the message through media awareness, take it door-to-door digitally through social media and also target general physicians and endocrinologists who can educate their patients. 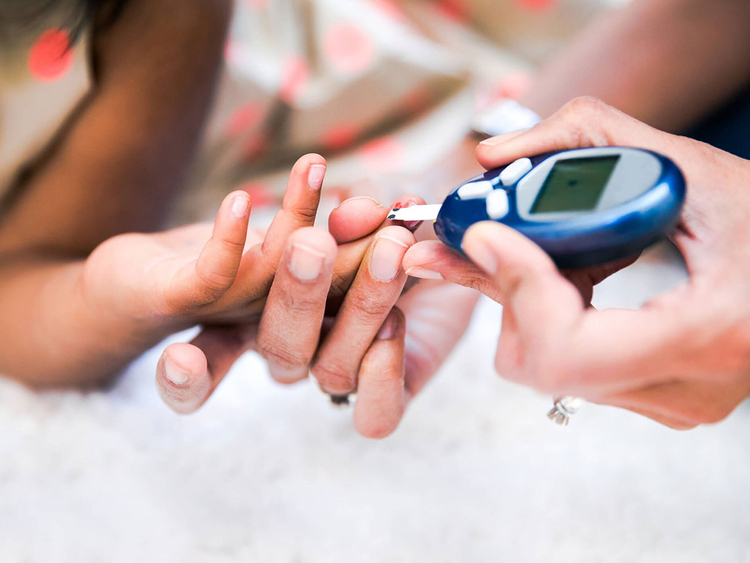 Type 2 diabetes right at the outset can help deliver better patient outcomes. Despite advances in health care, CVD is still the number one cause of death among people with Type 2 diabetes,” Bachir said. Interested people are encouraged to log on to the Emirates Diabetes Soceity website www.eds.ae. The website has standard questions that can help diabetics to frame their own set of queries for their endocrinologist. The campaign will also include a knowledge library that curates information from both the medical community and patient stories. The permanent digital library will be live on a dedicated website, with supporting content including a digital 360 campaign that features an awareness video, infographics and several media activities.